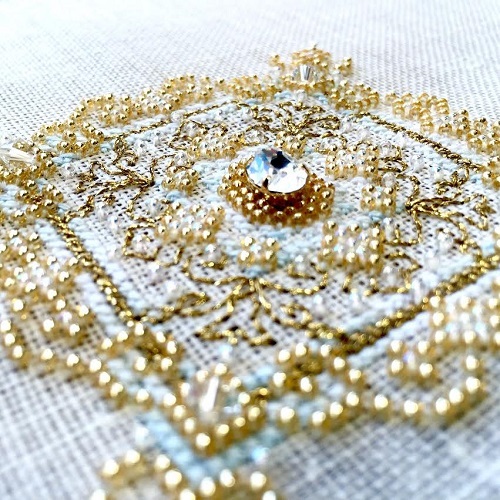 Want a quick modern Christmas cross stitch ornament to stitch for a loved one? These fun cross stitch silhouette designs can be stitched rather quickly as they only require one DMC colour, black! Alternatively you can stitch these in white on a dark blue if you think black is too stark for Christmas. Why not stitch these in Kreinik #4 braid for some sparkle? These can also be stitched on a fun hand dyed fabric for an extra unique item. The designs are a gingerbread man, a Christmas ornament, Santa flying over some houses, and a Christmas tree. Each design measures 51w by 51h.